Broken? New studies reveal many peoples’ hearts are older than they are. A new study calculated an average person's heart age, with depressing results. Being young at heart is apparently not so easy. A new study from the CDC’s Morbidity and Mortality Weekly Report has found that an alarming number of peoples’ “heart age” is older than their chronological age. The Los Angeles Times reported that the scientists used a construct known as the “heart age,” created by the Framingham Heart Study, to help quantify a person’s risk of heart attack, stroke, or other heart-related illness. Using data from the Center for Disease Control’s Behavioral Risk Factor Surveillance Study, they used factors such as age, body mass index, and history of smoking to calculate the heart age of nearly 700,000 people between the ages of 30 and 74. While none of the subjects had had a heart attack or stroke, the results were still astounding. Researchers estimated that the average American man has a heart age 7.8 years older than his chronological age while the average American woman has a heart age 5.4 years older than her body. The highest heart ages were found in African-American participants and in people living in Mississippi. The gap seemed to close as people aged and was also significantly smaller as education level and income were raised. Nearly 800,000 people Americans die from heart conditions each year. The only good news is that, unlike your chronological age, it is actually possible to reduce your heart age. Doctors recommend eliminating smoking and managing blood pressure as two straightforward ways to get your heart age and calendar age back on track. 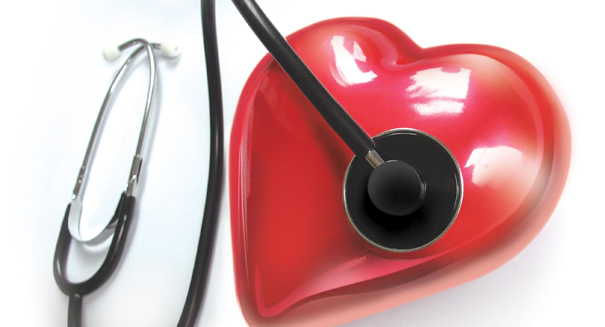 To calculate your own heart age, go to the Framingham Heart Study to find a simple online tool. Good luck!